Palani Hills is one of the oldest mountain ranges in India. It is situated in the state of Tamil Nadu. The Hills is located at the eastern part of the western Ghat of India. The region is home to nomadic tribe of Paliyan. The people of the tribe normally reside in the caves in the region. Palani hill is rich in beautiful nature and offers many places of interest in around it. It is also an ideal place for bird watchers as many species of birds are found there. Bison well is known for its vegetation and wild life. Wild life includes birds and various animals like elephant, tiger, monkey, deer etc. Bison well got its name from the Bisons that used to come to the well. 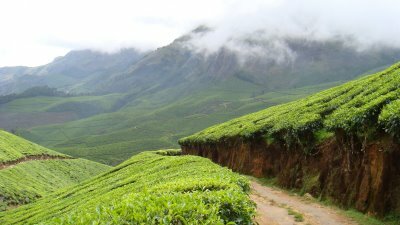 There are other place of interest in and around Palani Hills like Kuthiraiyar Dam Falls, Thekkanthottam and Varathamanathi Dam. Kuthiraiyar Dam : Kuthiraiyar Dam is situated near Pappampatti and has a beautiful waterfall at the back of it. Thekkanthottam : Thekkanthottam is another fascinating water fall located near Palani hills. Varathmanathi Dam : Varathmanathi Dam is famous tourist spot. It is a nice place to spend time with your children as the place many amusements for the children. Palani Hills also has many temples in and around it. Prominent among them is the temple of Murugan. It is prime attraction of the region. You have to climb as many as 670 steps to get to the temple. There is also the facility of rope car which take you to the top the hill. You can also watch from here panoramic view of almost entire Palani Hills. The temple of Tiru Avinankudi is another place of worship which is situated at the foot of Palani Hills. It is one of the largest and oldest temples of the region. You can also take some time out to visit the temple of Mariamman Kovail. The temple is just 1 km away from Palani Hills. Palani Hills is well linked by road and rail to other parts of the state and the country. Palani railway station is connected to Palakkad, Coimbatore, Madurai and other cities and towns of the state and the country. Many state run buses and other private vehicles are also available from other Madurai, Chennai, Coimbatore and many other cites and towns of the state. Coimbatore also serves as the nearest airbase to Palani hill. The airport is well linked by many flights to other major cities of the country.